than INR 229.93 crores, benefitting over 550 charities, with the funds being used for causes ranging from arts, culture & sports to education, environment, health, human rights and others. The 2018 edition itself saw INR 34.36 crores being raised, shattering all previous records. 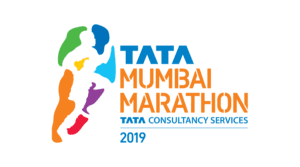 As the philanthropy partner of the TMM, United Way Mumbai (UWM) undertakes the multiple roles of facilitating participants to power their runs by supporting various causes, as well as enabling those who are not running, to participate via fundraising. The platform lets corporate employees benefit from the marathon as an employee engagement activity, while enabling NGOs to raise funds for their projects. 165+ Corporates and 7250 of their employees participated in TMM 2018. They have leveraged the event to further their CSR goals, promote employee engagement and team building and build their brand. Companies are able to support NGOs of their choice, while registering team sizes of 15 / 25 / 40 employees. Registered employees can participate in any of the available running categories. Some incredible companies have gone a step further by connecting their employees with social causes through Employee Fundraising. Details of the Charity Structure for TMM 2019 can be viewed here. The Charity Structure explains participation processes and timelines for companies, NGOs and individuals. To know more, please contact Sanaa Shaikh, Director – Investor Relations.